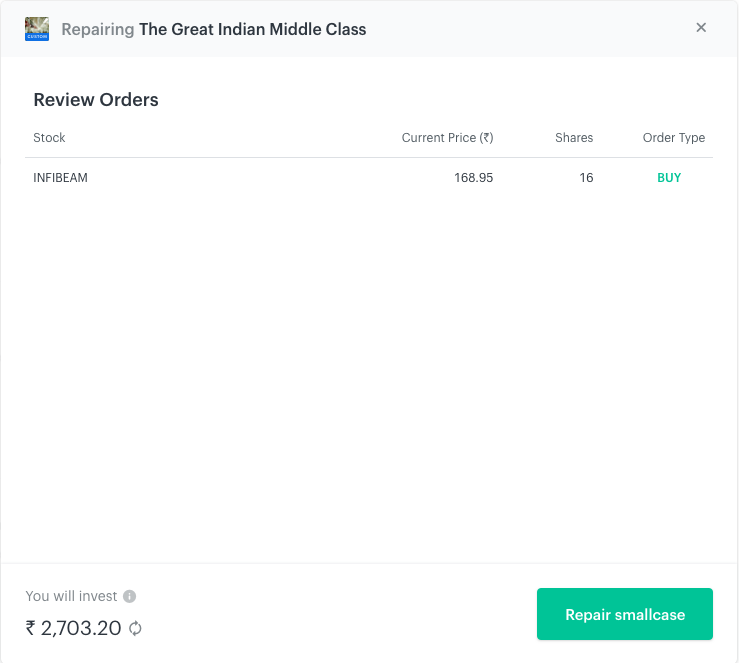 Repairing the batch helps you place fresh market orders for those stocks/orders that weren't filled so your smallcase can be complete. Once you click on 'Repair' from the orders page, you would see a preview of the stocks you're placing fresh orders for. After reviewing this, you can confirm the order.